The Journey is the Reward. 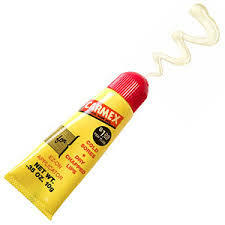 : Carmex Rocks!!!!! I should start this out by saying that I used to be addicted to LipSmakers lip balms. I loved the scents and found myself applying it at least a dozen times a day. After a 10 year love affair, feeling a little rebellious, I ran out and purchased several different lip moisturizers. I hadn't realized that there were products out there that moisturized better and made my mouth happier. Happier than they had been in many years! I tried every sort of moisturizing balm and lip cream and ointment available to me. 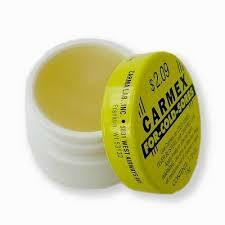 Some tingled, some tasted good, some were expensive, some cheap, some had a hint of colour but nothing came close to the wonderful perfect feeling of Carmex. I just found out that Carmex comes in a stick and that there are flavours!!!!!! I am so excited!!!!! I hope that Canada offers these wonderful additions for my lip care addiction. If not I will have to venture to the U.S. to procure some of these gems!!!!! Note: Carmex can be purchased at Shopper's Drug Mart, WalMart, Zellers and probably many other places in Canada. They retail for about $3.50CDN.